The POWERplus® Chipmunk is a wind powered bicycle kit. 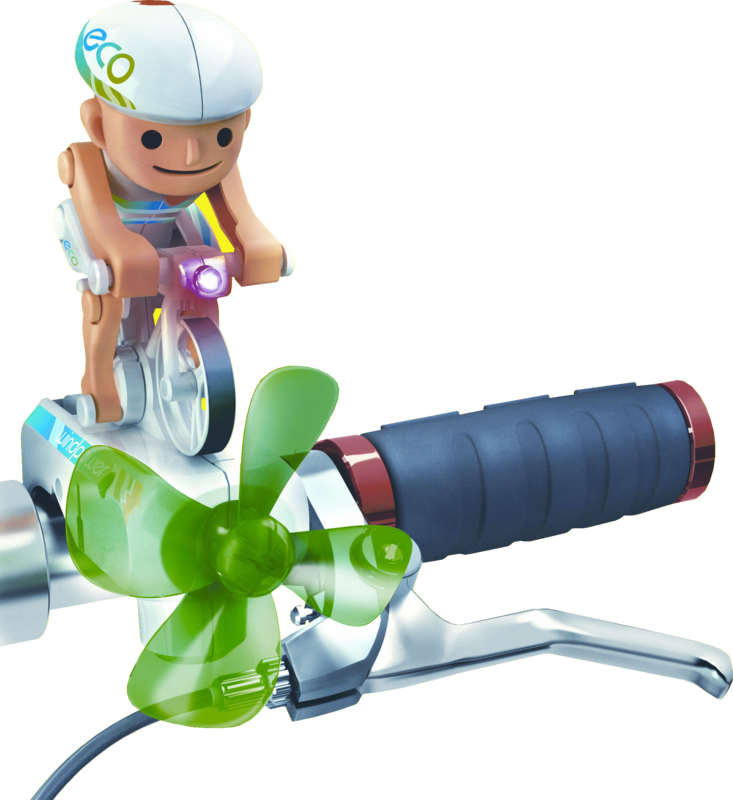 Place the Chipmunk on the steering wheel of your bicycle and the wind will drive a propellor which powers the internal generator. The wind energises a LED light and moves the cyclist.